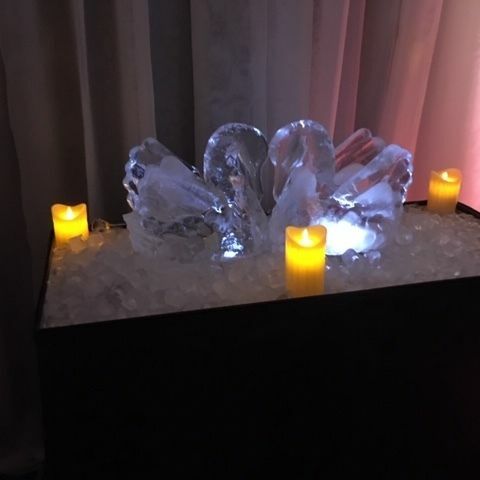 Choosing an ice sculpture for your wedding will create a stunning display for your perfect day and we can personalise it to your requirements. You can choose from our collection of wedding ice sculptures or you may have an idea of your own that we can create for you. 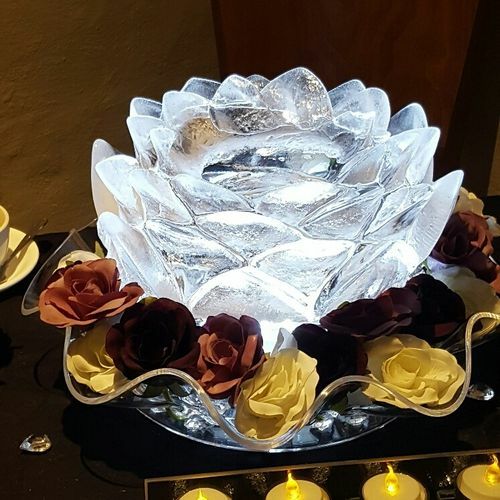 If you are having an Ice sculpture on your wedding day and wish to carry the theme throughout the venue, ice-promotions can create those centre pieces for you and help transform any dining/reception area. 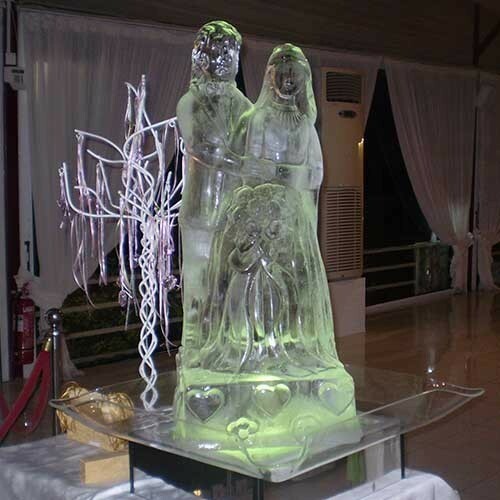 The Happy Couple, is a stunning ice sculpture depicting a bride and groom in an embrace. This would make a fantastic display on entry to your reception or at the head table for all your guests to see. 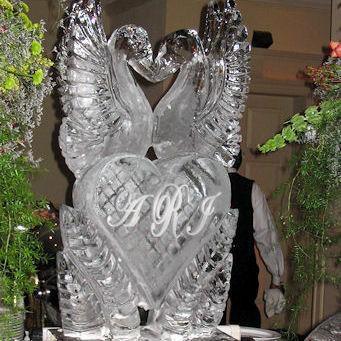 The Love Birds Ice Sculpture can be personalised with your new initials as a married couple. This is the larger Swan can be stand alone as its makes quite an impact, or a pair like the desk top Swans, facing each other it make a Heart.